The chairmen of state chapters of Peoples Democratic Party (PDP) have congratulated Governor Olusegun Mimiko of Ondo State on his emergence as the chairman of PDP Governors’ Forum (PDPGF). 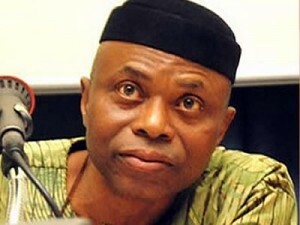 Mimiko, former deputy chairman of the forum was elected on Wednesday at a meeting of the PDP governors in Abuja to replace Godswill Akpabio, the immediate past governor of Akwa Ibom State who is now a Senator of the Federal Republic of Nigeria. Speaking in an interview, the chairman of the Conference of PDP Chairmen, Dr. Emmanuel Agbo, stated that the election of Mimiko to steer the ship of the PDPGF was a welcome development. According to Agbo, who is the Benue State PDP chairman, Mimiko’s emergence was a manifestation of the explicit confidence his fellow PDP governors have in him. He assured the new PDPGF helmsman of the total support of the Conference of PDP chairmen, noting that they will work closely with him and other stakeholders of the PDP to reposition the party and launched it back to power at the centre in 2019. Dr. Agbo further stated that he has no doubt that Mimiko would live up to expectation in the new assignment as a mature politician and purposeful leader fully committed to the advancement of PDP and sustenance of democracy in Nigeria.